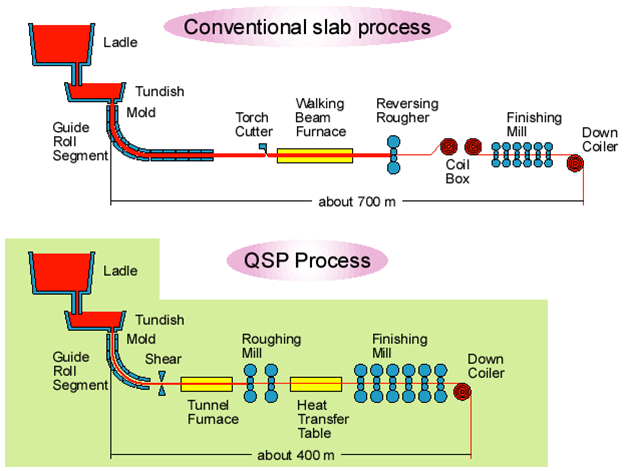 The QSP is a mini mill process for the uniform and continuous production of coils from thin or medium-thickness slab. 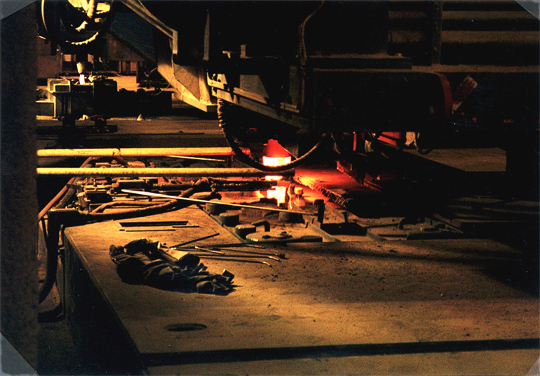 In the process, reheating furnace and quantity of rolling mill-stands can be significantly reduced for producing thin strips from molten steel. Steel Plantech’s QSP is capable of producing the highest-quality thin slab with superior casting speed compared to the other process of thin slab casters. 1The continuous caster enables a maximum casting speed of Vc=6m/min (achieved a casting speed of 8m/min at our test facilities), and although compact, it achieves a level of productivity that is equal to regular continuous slab casters. 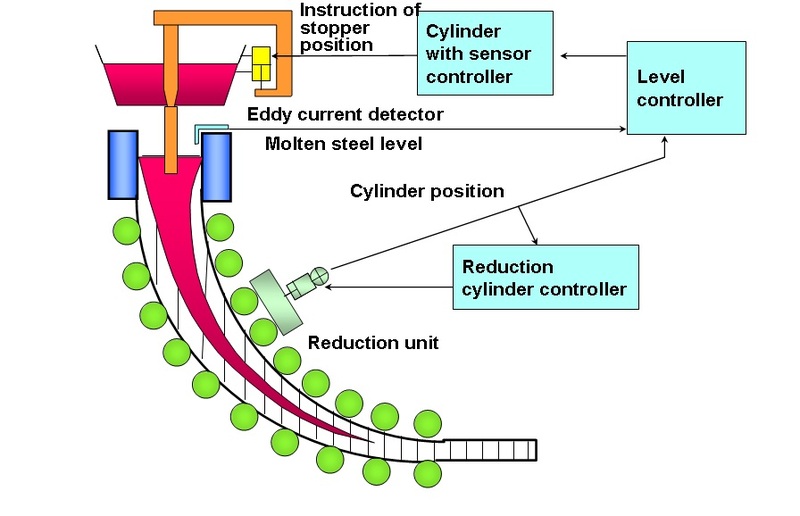 2The reduction in quantity of rolling mill-stands required and the smaller energy consumption made possible by coupling directly to rolling mills enables a significant reduction of facilities/production costs. 3The break-out prediction device (learning type) prevents breakouts. 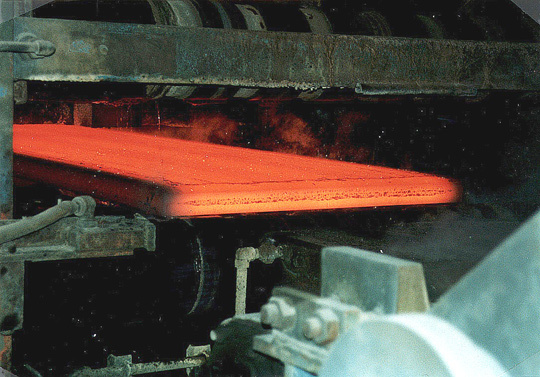 Steel Plantech’s quality strip production process (QSP) adopts parallel molds and utilizes liquid core reduction technology, to enable manufacturing of the world’s highest quality thin slabs. 2The liquid core reduction function makes it possible to change thicknesses during casting. 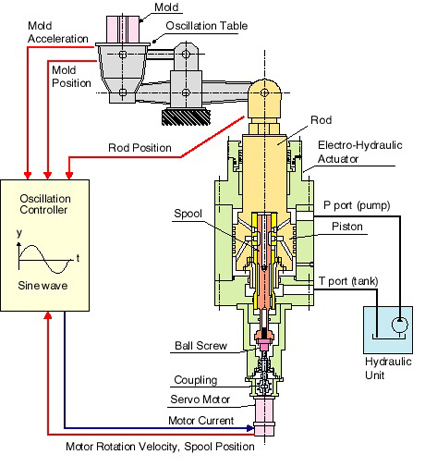 3Can be adapted for cold rolling mills, which require deep drawability. 5The use of a parallel mold provides superior casting surface quality.